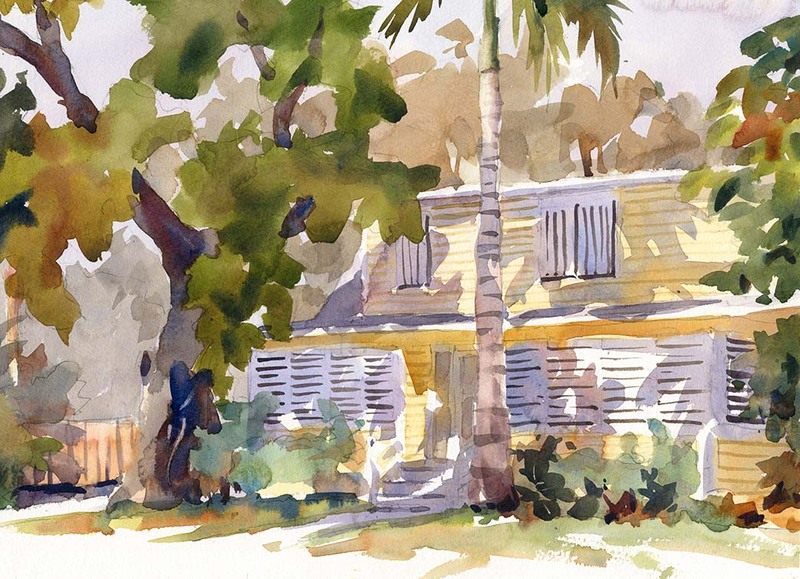 Plein air sketch of an old Florida plantation house built by Henry Flagler. 11×15″. Fabriano Artistico 140lb. cp. This is such a lovely painting! I especially like the play with light and shadows. Thanks! The light and shadow as well as the building were the subject. This is a beauty Gil! Thanks Shari, always great to hear from you!